If you read this you are certainly amongst those already using WordPress CMS in your business or otherwise, maybe even have your own custom blog. There is no deny that WordPress is now the standard CMS for marketers and pasted the testing time with flying colors. With the new year started there is a flood of plugins, themes and other bits and pieces around WP that makes WP the most versatile and useful system for individuals and businesses alike, even more so for all types of custom blogs. Do you need a Custom Blog? First of all, some will wander what’s all this talk around custom blogs? What are custom blogs and how custom blogs are different from a “regular blog”? Well, if you are a internet marketer or you have an online business, if you are already using WordPress, most likely your blog is a custom blog. A “regular blog” is most of the time set up to allow owners share their interests and communicate in an easy way. Internet marketers and businesses have many different needs – promote their own or affiliate products, sell those products, collect email addresses, crate membership sites, affiliate sites and the list can go on. WordPress can cover all these needs by means of various plugins and themes so that makes these sites/blogs custom blogs. So the question that remains is – do you need a custom blog? I strongly believe that you do need custom blogs if you plan to earn in any way from your words, work and time invested in your blog. This is the way to go about this year in order to make a profit. And I do believe most of our readers do plan to get a little(or big) benefit from their investment. The only issue that remains is that with the explosive development around WordPress is very hard to keep yourself informed and even more to actually test even a small fraction of various plugins and tools released daily. Just think about the pop-up plugins category – there were more than 10 big new releases in the past 2 months only ! These are full-fledged commercial plugins catering custom blogs, I can’t count or comment on free ones. 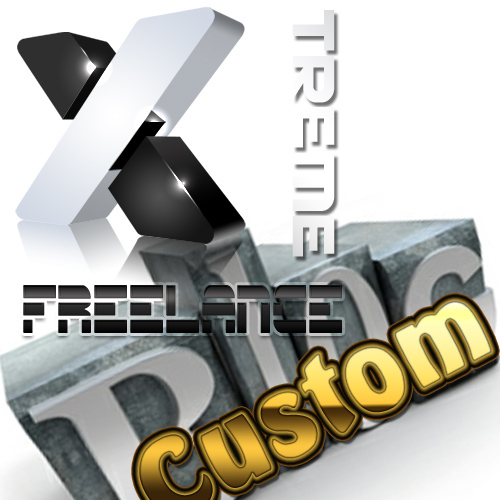 So, while a custom blog is in order for almost any business or internet marketer, it might be a wise move to seek professionals as our own Xtreme Freelance team that could save you huge amounts of time and money in the end. While our Xtreme Blogs System is on hold for now we are always happy to develop custom designs for blogs and custom blogs for any purpose. I agree. I think custom blogs are very useful for business bloggers. Great post!